When it comes to showing off a beautiful, straight, white, and charming smile you may feel a bit put off by the fact that your teeth are a little misaligned and not that straight as you’d wish them to be. 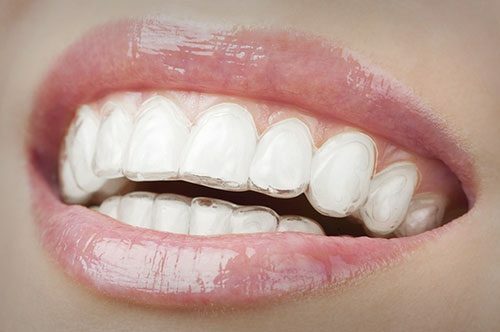 Some mild such teeth problems, including (but not limited to) crossbite, overbite, underbite, crowded or spaced teeth can be solved with the help of Invisalign braces – dental aligners that don’t feature metal wires, prongs, and screws and which are made of a smooth, completely transparent plastic. Today, our Invisalign in Fort Lauderdale Florida experts are here to clear some things up regarding Invisalign and the services they provide. Invisalign braces represent dental aligners suited to certain categories of patients. Before a decision is made, your doctor will first perform a thorough analysis of your dental situation. If you are a suitable candidate for Invisalign braces, your doctor will take a mold of your teeth and send it to a certified Invisalign laboratory. Once the mold comes back, your doctor will make sure it perfectly fits your teeth and you feel no discomfort whatsoever wearing the aligners. The main advantage of Invisalign braces is that they correct your teeth misalignment problems in a slower, comfortable manner. They are smooth, clear, removable and easy to clean. Also, they need no tweaking or upgrading – thus lowering the frequency of your visits to the doctor once you have them applied. Why Should You Choose Our Invisalign in Fort Lauderdale Florida Interventions? We are licensed and certified in Invisalign applications and we are engaged in continuous education and training. We work only with the latest bio compatible materials, equipment, and techniques, choosing the least invasive techniques and procedures. We offer all our services under one roof so you don’t have to walk in between dental offices to get several dental services; this makes everything easier, faster, more comfortable, and cheaper. We work actively and creatively with all our patients to build a comfortable and affordable budget and pricing plan. We built a strong reputation on patient care – all our patients are more than happy to come to our office to enjoy a stress-free atmosphere, a friendly approach to medical treatment, in-office comforts and amenities and so on. Ask for references from our patients or better yet, come down to visit as and ask us about our impeccable Invisalign Fort Lauderdale Florida interventions. You will be positively impressed with no doubt!